Born and raised on the island Oahu, Jaime Hightower joined Hawaiian Airlines as a flight attendant in 2011. 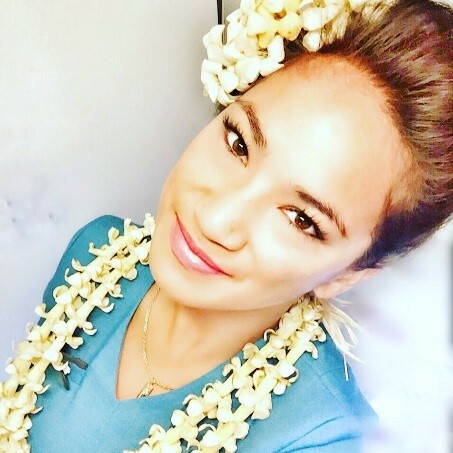 Today, she continues to work as a flight attendant as well as a hula dancer, while surfing and enjoying Hawai‘i’s beaches in her free time with family and friends. Not only is it one of the most beautiful islands for its lush landscape and beautiful cascading waterfalls, Kaua’i being the oldest major island in the Hawaiian chain holds many legends and stories, mana (powers) of healing, culture and history. It is believed the beautiful Garden Isle holds the sacred gift of healing. Many people travel to Kauai to rejuvenate themselves of heartache, worries, weariness and stress of everyday life by experiencing the mana and aloha of this sacred island. One of Kaua‘i’s best kept secrets is Kamokila Village, a hideaway located in Wailua. It is the perfect place to showcase Hawaiian fruits, vegetables and plantation, and serves as an amazing backdrop to experience exciting cultural activities. There are village tours, outrigger canoe rides, hiking and swimming, Secret Falls, Fern Grotto and lots more to explore. 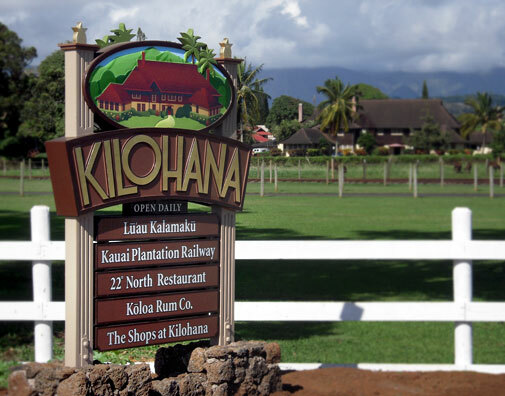 One thing visitors are usually surprised to learn about Kaua’i? Many people are surprised to learn Kaua’i is featured in famous Hollywood films such as Raiders of the Lost Ark, The Descendants, Pirates of the Caribbean: On Stranger Tides, Jurassic park III, and Gilligan’s Island. Once visitors experience the island’s beauty, they understand why famous directors, actors and actresses make Kaua’i a top choice for not just filming but as a favorite vacation destination. Wai ‘ale ‘ale!! Wai’ale’ale literally translates to “Rippling Water,” a perfect name as this area holds the title of being the wettest place in the world with about 452 inches of rain annually. It is the ideal place to see why Kaua’i is known as the Garden Isle. From the lookout point, you will see the beautiful oasis of native plants cascading over 5,066 feet of mountains. This mountainside is known as the “Wall of Tears” for its flowing waterfalls. Enjoy the aroma of the fragrant Maile, the relaxed chirping of the native birds and the sweet whispers of the winds, and feel the soft and gentle dew upon your skin. The experience will leave you breathless – there is really nothing quite like it! Locals love hanging out at beaches or even hiking up in the mountains, but at night you will find them at Rob’s Good Times Grill enjoying some ono pupus and drinks or at Duke’s Canoe Club sipping on Mai Tais and having its ever popular Hula Pie. I would have to say that the Hyatt located in Poipu and Waipouli Beach Resort are my favorites. The Hyatt is a family friendly hotel featuring beautiful views right in Poipu along the beach. Waipouli Beach Resort is a perfect option for staying in Kapa’a. It’s conveniently located across from Safeway, so you can pick your own supplies and make your room feel like home! Where to start?! If you need a quick bite to take to the beach, stop by Ishihara on the west side or Pono Market on the east side for some local goodies such as fish and poi or a hot plate lunch. If you’re looking to sit down with family and friends, two of my favorites are Hamura Saimin or Kintaro for mouth-watering sushi. For dessert, cool off at Papalani’s with a scoop of fresh, locally made gelato. The Kaua‘i Community College open market on Saturday mornings offers fresh island fruits and vegetables. Kaua’i Chocolate Company, located at Port Allen, has the famous “Chocolate Opihis.” I recommend Salty Wahine for favorite local flavors of season salts straight from Kaua’i salt beds, or Kaua’i Kookies for a vast array of short bread cookies. Finally, pick up souvenirs from local artists at Hanapepe Art Walks on Friday nights and once a month in Kapaa Town. 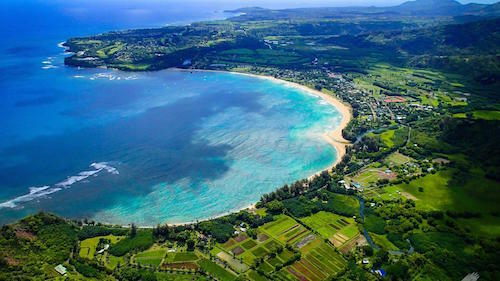 Lydgate Park, Salt Ponds, and Kilohana Plantation are all family friendly places! Hop aboard Catamaran Kahanu and explore the protected reef of Nu’alolo Kai, swimming and snorkeling with Capt. Lani. You will experience the majestic Na Pali Coast from a unique view. Best tip for travelers passing through Lihue Airport? Fried rice and Portuguese bean soup are must-haves at Lihue Airport. As you wait for your flight home or to one of our neighboring islands, sit back and enjoy the relaxing sounds of our local Hawaiian musicians serenading. You may even catch a free hula show!